Transhaven Ltd has over 25 years experience in the Waste Management industry. We offer a range of Portable and Static Waste Compactors and Balers, both new and fully refurbished, to improve waste management and boost business profitability. A comprehensive range of new waste compactors and balers is always in stock for outright purchase or lease / rental, but our speciality is our ability to source and fully refurbish compactors and balers to suit your needs and budget. All our waste management equipment is fully guaranteed and we have a team of engineers for service or emergency repair. 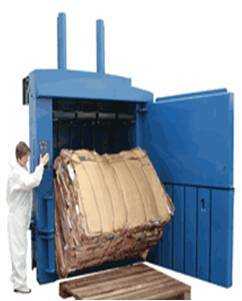 We will service or repair most makes of compactors and balers, just give us a call for a competitive quote. We carry out all our own installations and offer a free site survey to ascertain your requirements and demonstrate practical and profitable solutions to your waste management needs. Shrink your waste and grow your profit!